If you find some free time this weekend, try your hand at entering these sweepstakes. I always like the variety in prizes. 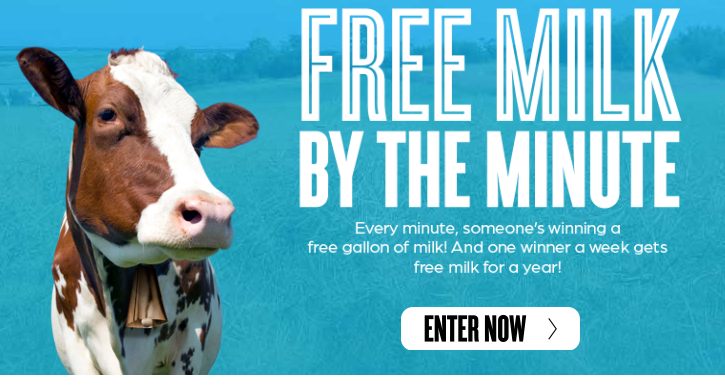 This week you can win everything from cash to a Free gallon of Milk. What goal or dream have you always wanted to achieve? Share your dream to be entered in the Life Re-imagined What’s Next Contest. One lucky winner will receive the grand prize of $10,000 and three finalists will win $1,000 each to help make their next moments a reality.